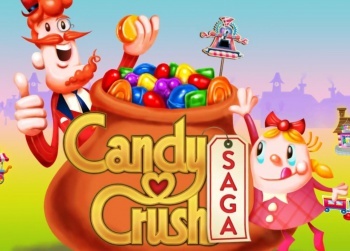 Candy Crush Saga's creators, as it turns out, have an awful lot of money. Candy Crush Saga developer King hasn't had a great time on the stock market, but the studio's Wall Street woes don't seem to have impacted its executives very much. The Sunday Times has released its 2014 Rich List, compiling the top 1,000 wealthiest people in Britain, and a few big names from the games industry have made the cut. This includes two of King's founders, who are notably ranked far above some industry titans like the creators of Grand Theft Auto. Riccardo Zacconi and Sebastian Knutsson, two co-founders of King, are ranked at positions 271 and 458 on the list with net worths of Â£354 million and Â£200 million, respectively. King COO Stephane Kurgan is worth Â£85 million at rank 989, and Derbyshire businessman Mel Morris (who holds a 12 percent stake in King) is the wealthiest games-related person on the list with Â£430 million at the number 238 spot. I'm no mathematician, but that adds up to a lot of candy. Meanwhile, Rockstar's Sam and Dan Houser barely made the list with a combined worth of Â£90 million, sharing the 947 spot. The Houser brothers helped co-found Rockstar Games in 1998, and are currently the President and VP of the company. This is the first year they've made the Rich list, no doubt because of the massive success of Grand Theft Auto V.
Also on the list are GAME founder Neil Taylor with Â£220 million, and Runescape creators Andrew and Paul Gower with Â£102 million.